For more than 20 years, the CMSC has been applying research findings in specific areas of MS care to improve patient outcomes. With a network of more than 150 North American CMSC Member Centers, the CMSC is positioned for collaborative research opportunities. A Research Study Grant Award, named in honor of John F. Kurtzke, MD, has been established and awarded to Gabriele De Luca, MD, PhD, in 2010/2011 and Jennifer Graves, MD, PhD in 2012. Dr Kurtzke is widely recognized for his contributions to epidemiological and multiple sclerosis clinical research. This research award is funded through an FCMSC grant by Questcor Pharmaceuticals, Inc.
Dr. Schwid, a CMSC member noted for his contributions to neurology research and multiple sclerosis trial design, is honored through an annual CMSC research study grant award. Awards for 2010-2011 will be made by the CMSC Research Committee in late 2010. 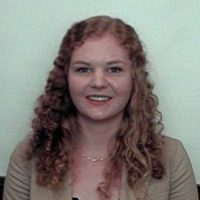 The FCMSC also collaborated with the CMSC in funding a second 2009 study grant, “Exploring the Potential of Nintendo Wii to Promote Exercise in Persons with MS”, submitted by Marcia Finlayson, PhD, OT(C), OTR/L, from the University of Illinois, Chicago. This is an innovative project using 21st century technology that will assess the participation and patient outcomes of self-directed activity and exercise in people with multiple sclerosis. It will build upon previous evidence that supports the benefit of this strategy in older adults. This award is presented to young and emerging scientists whose works are deemed to have substantial promise to increase the understanding of the pathophysiology, immunology, genetics and/or epidemiology of MS. It is named in honor of John Whitaker, MD, a pioneer and role model in MS research, particularly interested in the immunological and chemical aspects of neurological and neuromuscular disorders. Since the inception of the CMSC’s Whitaker Track, now chaired by Dr. Michael Racke, the Foundation of the Consortium of Multiple Sclerosis (FCMSC) has been pleased to present the Whitaker Prize for MS Research, supported by grants from EMD Serono. In the past twenty years, significant progress has been made in both understanding the pathogenesis of Multiple Sclerosis (MS) and treatment of patients with MS. MS seems to be more complicated than just inflammation: in fact, accumulating evidence demonstrates that neurodegeneration is also a large component of MS pathogenesis and contributes to disease progression. This is evidenced by the failure of current therapies to slow down continuous brain atrophy in secondary or primary progressive MS patients (SPMS or PPMS). Therefore, a new challenge for MS research is to develop effective neuroprotective interventions for progressive forms of MS.
One project of my graduate work is to determine the potential neuroprotective effects of dimethyl fumarate (DMF, BG-12 as the brand name), a novel oral medication under the evaluation of Federal Drug Administration. To exclude the strong immunological component (for example in Experimental Autoimmune Encephalitomyelitis), an excitotoxic model of neuro-injury was utilized in our study. Our preliminary data demonstrated that pre-treatment of DMF successfully reduced acute neuronal damage. Moreover, these treated mice had better motor activity compared to untreated mice, suggesting the possible protective effects of DMF. Currently, we are in the process of evaluating the effects of DMF in mice with chronic excitotoxic injury and exploring the molecular mechanisms through which DMF exerts its protective effects in the CNS. We believe that this work will not only help enhance our understanding of MS, but it will also provide a mechanistic foundation for DMF treatment of progressive MS. Multiple sclerosis (MS) is a demyelinating disease that can affect several areas of the central nervous system and may lead to problems with vision, bladder control, sensation, coordination, or strength. Rating scales can help measure these symptoms and the resulting disability. Most rating scales strongly emphasize impairments in walking when measuring disability in MS. Hand dysfunction is not frequently assessed in MS patients and therefore little is know about the frequency and severity of hand problems. There is also very limited data on how to best measure hand function in MS patients. However, the ability to use your hands impacts quality of life and is critical for maintaining independence in many life tasks. To better evaluate this issue, Drs. von Geldern and Zackowsky at the Johns Hopkins MS Center and Kennedy Krieger Institute are studying hand function in more than a hundred patients with MS, evaluating grip and pinch strength measured with a dynamometer as well as nine-hole-peg test and finger tapping test. The study found that hand dysfunction is a common problem in MS, in particular in individuals with the progressive disease form. More than a third of patients with progressive MS have grip strength less than 50% of healthy controls. The study also shows that grip strength and the nine-hole-peg test measure different aspects of hand dysfunction, suggesting that both tests should be included when evaluating upper extremity disability in MS. The next step is to study hand function longitudinally. This will help determine how well these tests are able to detect changes in hand function and to quantify the extent that hand function changes in individuals with MS. This information will be important when designing trials that study the effect of rehabilitation interventions for individuals with MS. It may also be a helpful tool when developing medications aimed to help individuals with MS regain function by promoting remyelination. This study was a pilot study of patients with multiple sclerosis (MS) who have reduced visual acuity and it demonstrated a correlation between a low functional ambulation profile (FAP) score and increased fall risk. This risk shown to be minimized by the wearing of contrast enhancing lenses. Robert Axtell, PhD, Stanford University, received the 2010 Whitaker Award for MS Research. Simarian with Whitaker This annual prize, funded by the FCMSC through a three-year grant from EMD Serono, Inc, recognizes excellence among emerging clinician-scientists participating in the CMSC’s Whitaker Track scientific sessions focusing on the pathophysiology and immunology of MS.
Development of a Comprehensive Global MS Symptom Assessment Using Modern Measurement Theory. This annual study grant award, honoring the late Steven R. Schwid, MD is funded by Teva Neuroscience. The CMSC Research program continues to sustain the mission of the CMSC which is to promote the best and latest in care for Multiple Sclerosis. With your help and support of the Foundation of the CMSC, we can ensure that future generations of people with MS will receive the quality healthcare they need and deserve. Since 2008, the Foundation of the CMSC has raised funds to support CMSC professional Consensus Conferences examining current and best practice management issues, advances in research, and potential educational needs for MS research and clinical care. ADDRESSING THE NEXT DECADE’S APPLICATION OF MS RESEARCH CONTINUES TO BE ONE OF THE MOST REWARDING AREAS FOR FOUNDATION FUNDING. TWO DIFFERENT FELLOWSHIP PROJECTS MAY HELP TO UNLOCK ANSWERS TO WHO MS STRIKES AND WHY. AANF-CMSC Kurtzke MS Clinician-Scientist Fellowship: A CMSC and American Academy of Neurology Foundation Collaborative Award. In a letter to the Foundation, Dr. De Luca commented “…Funding support through the FCMSC has been crucial to the pursuit of my dream to be a clinician-scientist. The John F. Kurtzke Clinician-Scientist Development Award has enabled me to undertake research focused on the relationship between genetics and pathology in MS.” He added, “Through developing a better understanding of the pathogenesis of MS, this research work has the potential to influence MS care by guiding the development of therapies aimed at halting the devastating consequences of the disease.” — Gabriele C. DeLuca, MD, PhD. The Consortium of Multiple Sclerosis Centers (CMSC) and the American Academy of Neurology Foundation (AANF) have awarded the first John F. Kurtzke, MD, FAAN, Clinician-Scientist Development Three-Year Award in MS to Gabriele De Luca, MD, PhD. This prestigious Fellowship award is supported by funding from the AANF as well as funding through the Foundation of the CMSC to honor the life-long contributions of Dr. Kurtzke, and to inspire new MS healthcare professionals to follow a career path in MS research and clinical care. Dr. De Luca began work on his research project, “Genetic-Pathologic Correlations in Multiple Sclerosis,” under the mentorship of Dr. George Ebers at the University of Oxford, in July, 2010. Dr. De Luca, formerly Chief Neurology Resident at the Mayo Clinic, recently was awarded the Waldman Prize for excellence in clinical neurology by the Mayo Clinic. This three-year Fellowship Award is supported in part by grants from Bayer HealthCare Pharmaceuticals, Inc., EMD Serono, Inc., Neurologic Disease Foundation, Questcor Pharmaceuticals Inc., and Teva Neuroscience. The Foundation of the CMSC continues to seek additional funding, and hopes to continue long-term support of this special award. John F. Kurtzke, MD, FAAN, has had a long and distinguished career in the field of neurology and neuroepidemiology, as Chief of the Neurology Service at the Veterans’ Affairs (VA) Medical Centers in Coatesville, Pennsylvania and Washington D.C. A Navy veteran of World War II, he attained the rank of Rear Admiral in the Medical Corps of the U.S. Naval Reserve. Dr. Kurtzke served as Professor of Neurology at Georgetown University in Washington D.C., where he has been a faculty member since 1963 and is currently Professor Emeritus. Since 1992, he has also served as Distinguished Professor of Neurology at the F. Edward Herbert School of Medicine of the Uniformed Services University of Healthcare in Bethesda, MD. Among his many personal contributions to MS and epidemiological research, one very notable tool with which all MS researcher are familiar is the Kurtzke Expanded Disability Status Scale (EDSS), one of the most commonly used clinical measures of MS progression.